I have recently moved to Liverpool and one of the pleasures of my new location is being able to cycle the ‘three parks’ route home from work. It’s longer than taking the roads, but it’s safer and takes me through the glorious Sefton Park, past the lake and the geese in Greenbank Park, and through the tree-lined avenue in Wavertree (The Mystery) Park. It’s a great way to unwind after a long day and connect with nature on my way home, as well as getting a good upper body workout. 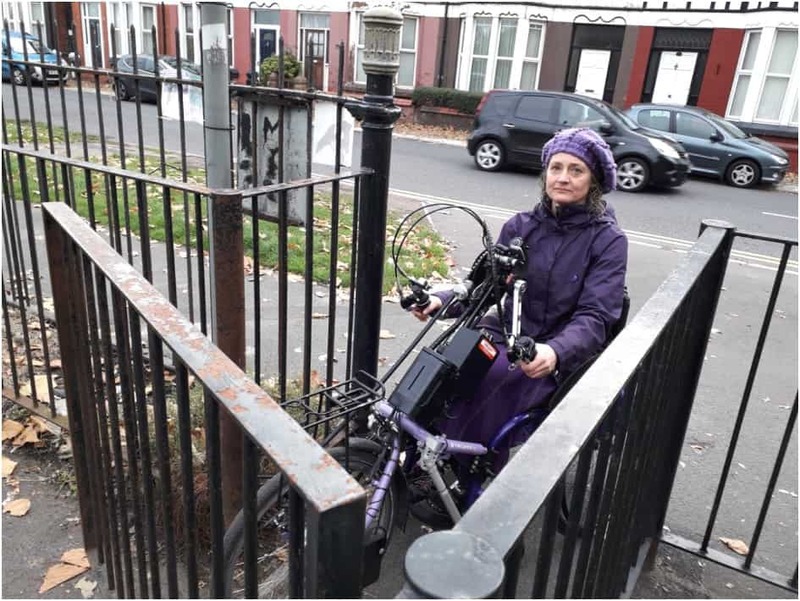 However, last month I was outraged to find that the gate into Wavertree Park had been changed so that it was impossible for me to pass through with my handcycle. This would of course also exclude other people cycling non-standard cycles, such as trikes or those with child carriers or trailers, as well as disabled people who ride a bicycle but cannot dismount and carry their bike through the gate. I immediately contacted Liverpool City Council and, to their credit, I got a very fast response from one councillor and the head of parks and green spaces. The head of parks and green spaces arranged to meet at the gate the following Monday to discuss changing the gate so that disabled people are not prevented from entering the park. The meeting was very positive. I made the council aware of the obstruction caused by the gate and a commitment was made to remove it. 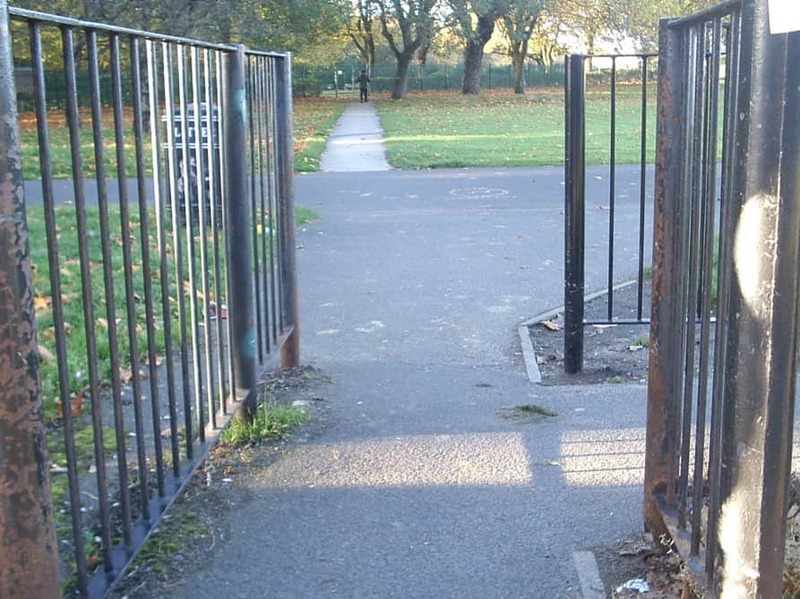 We agreed that some form of barrier needed to be in place so that dogs and children could not simply run straight out of the park and onto the busy road, but we also agreed that whilst the exact design of this barrier was developed the obstructive gate should not be in place. Just over a week after my initial complaint, the gate was fixed! The photos say it all. This was a positive experience of raising a complaint and having it addressed with speed and gravity. 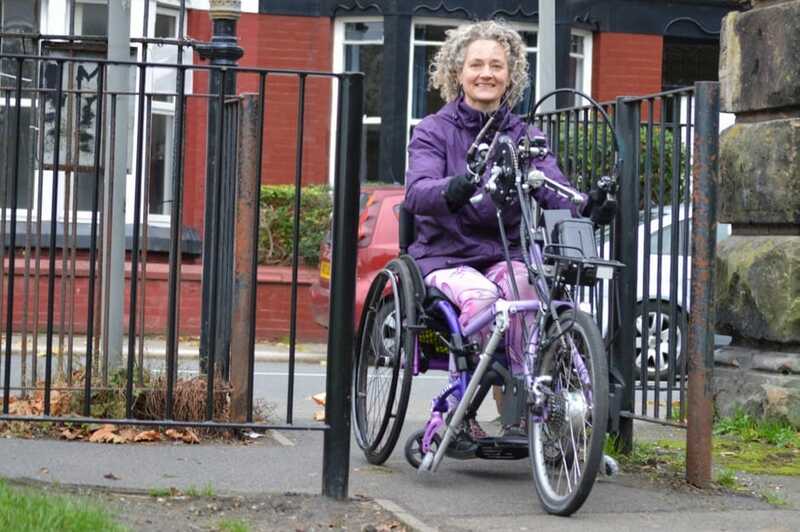 I hope that it encourages more disabled cyclists to challenge discrimination and, more importantly, prompts more public bodies to fully implement their obligations under the Equality Act 2010.